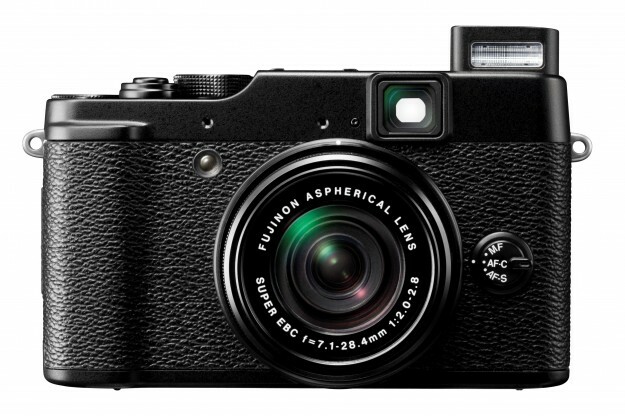 Last week, Fujifilm announced the X10, its new entry to the X-series and first camera to follow the infamous X100. Given the splash its predecessor made and cult-like following its inspired, we knew there were bound to be plenty of questions about the X10. Fujifilm passed along a few answers to some of the initial queries about its new throw-back digital camera – and now we’re sharing them with you. Q: Is there a neutral density filter built-in? Q: In HD video, is the whole sensor used, or a portion? A: 16:9 aspect ratio of full sensor size is being used. A: Lens shutter (not a focal plane shutter like a DSLR [uses]). Q: Length of barrel in telephoto zoom from body? A: In the OFF position, the barrel protrudes 15/16”. At the WIDE (28mm) positions, it protrudes 1-5/8”. In the full extended TELE position, it protrudes 2-1/16”. Q: High speed flash control? A: Not available on the X10. Q: Framing lines in viewfinder? A: The viewfinder has zoom capability that synchronizes with the main zoom lens for the range of 28-112mm (4x).